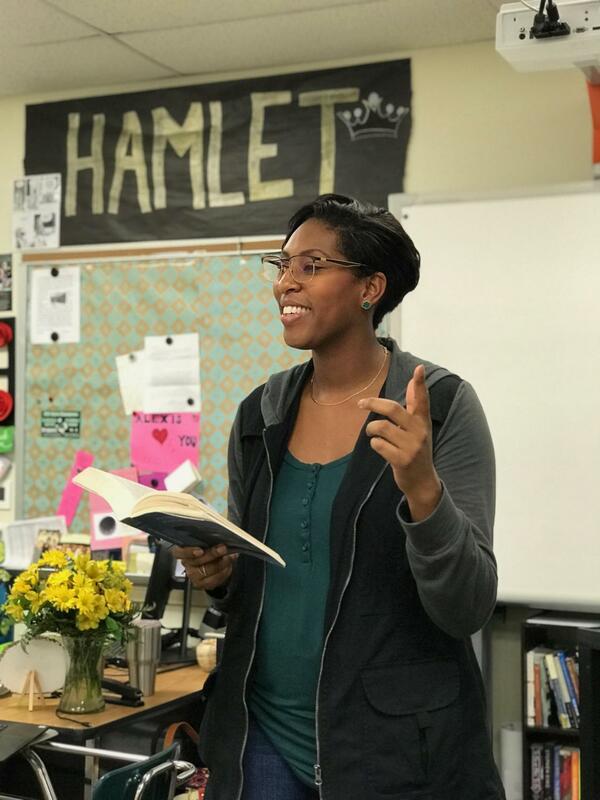 With student work littering her classroom and students crowding around her desk to chat with her well after the bell rings for lunch, it’s easy to see that senior English teacher Shatina Lewis cares deeply about her students and her work. This week, after teaching both senior AP/GT and on-level English for five years here at the senior high, Lewis will be transitioning to Dawson Middle School where she will serve as assistant principal. Although this is an exciting new chapter in Lewis’ life, students and teachers alike have mixed emotions about her departure. Even though she will no longer spend her days across the hall from Lewis, economics teacher Caitlin Frank knows that their relationship won’t change once Lewis transitions to Dawson. As Lewis is leaving part-way through the semester, librarian Sarah Chase will be taking over her English classes until the end of the year. The little day-to-day quirks that make the senior high special are what Lewis says she will miss most, but she is looking forward to making an impact on a different age group at Dawson.